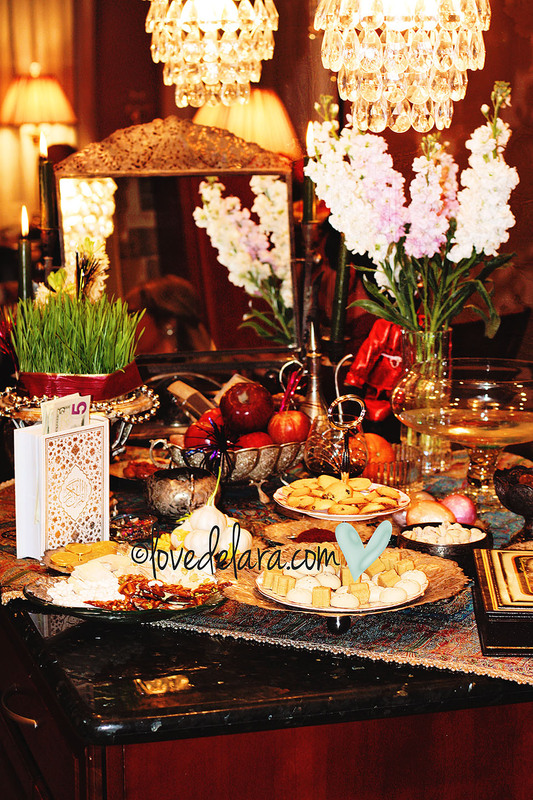 Today we celebrated Nowroz which marks the first day of Spring and the New Year on Persian/Afghan calendars. We had a beautiful evening with family & friends. My mother-in-law designed a beautiful Haft-Seen (pictured). Each item on the spread symbolizes well wishes in the area of health, wealth and happiness. This entry was posted in Photography Love and tagged Apple, Earth, Haft-Seen, Iran, New Year, Nowroz, Nowruz, Persian New Year, Rose water, Spring, Wikipedia. Bookmark the permalink.